Who doesn’t love cuddling up for a good movie? There is nothing quite like getting cozy with loved ones and spending quality time together. Whether you are at the cinema or watching a film at home, it is always enjoyable to have snacks to munch on. Classic movie snacks such as popcorn, nachos, candy and cola are found in abundance at theater concessions and movie stores. However, most traditional movie snacks are jam packed with sugar, sodium, fried fats and generally unhealthy junk food. It is okay to indulge once in awhile, but in our increasingly health conscious society, people are moving toward more nutritious and healthy snacks. 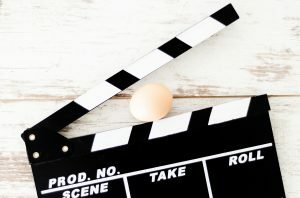 If watching movies together is something that you and your loved ones do regularly, try substituting the junk food with these guilt-free snacks that will satisfy the whole family! Homemade popcorn with no added butter or salt. Pretzels and hummus or roasted red pepper dip. Kale chips or apple chips. Homemade smoothies with fresh fruit, frozen yogurt and honey. Sweet potato fries with Ranch flavored yogurt dip. Nachos with ground turkey, freshly chopped vegetables and a small amount of shredded cheddar. Dried fruit such as mango, apricots and dates. Pulled BBQ chicken tacos with tomato salsa. Carrot and cucumber sticks with tzatziki. Homemade crackers with bruschetta mixture. Roasted and lightly seasoned edamame or chick peas. Mini peanut butter and banana sandwiches. Mixed dried fruit and nuts. These snacks are both healthy and delicious and are sure to satisfy the craving for snacks whether it be sweet or salty.